A similar page on Beats’s site lauds Apple’s long history in music making, including the Mac’s history in digital recording, as well as the impact of the iPod, iPhone, and iPad. Additionally, Beats (and, by extension, Apple) has also found itself in legal crosshairs over a patent suit launched by audio company Bose, which alleges that some models of Beats’s headphones infringe on Bose’s noise-cancelling patents. 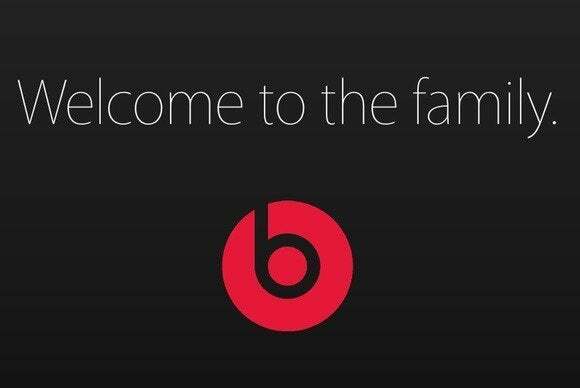 Beats’s Iovine and Dr. Dre are set to report to Apple senior vice president of software and services, Eddy Cue, but the company has said little in the way of details about how the two companies and their product lines will mesh after the acquisition. Though, given Apple’s penchant for making music-related announcements in the fall, we could hear more about that in just a few months.